Bushnell Pro X2 Review: Bushnell’s Best? Editor’s note: This review is part of our rangefinder review series. The X2 was named Best Premium Golf Rangefinder for 2018. You can read more of our rangefinder reviews here. Distance measuring devices have become a huge part of the modern game. 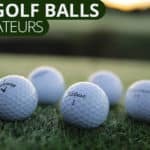 GPS watches, GPS screens on your golf cart, and rangefinders have become accessories that most golfers can’t live without. 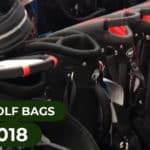 They can be critical for keeping up with your playing partners. Bushnell has been the first name that comes to mind in the rangefinder business for years. Bushnell broke into the golf world on the back of their deep experience in rangefinders for hunting and outdoors. It won’t come as a shock that the Bushnell Pro X2 is another top-notch rangefinder produced by a top brand. The Bushnell Pro X2 offers state-of-the-art technology, along with durability, performance and usability. Bushnell rangefinders are easy to use, offering dual display technology (DDT), which makes viewing numbers easy by toggling the color of the crosshairs. Pinseeker with JOLT technology gives a signature jolt when the rangefinder locks into the flag not another object in the background. 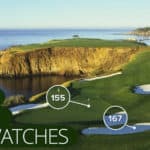 Slope compensation technology provides users with technology that will allow them to get accurate distances that takes the incline/decline of the hole into consideration. 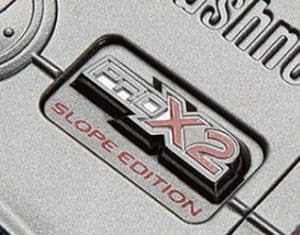 Slope Switch technology is another feature that makes the Pro X2 a industry leader, having the ability to toggle between slope settings allows users to get maximum benefits from their device. The Bushnell Pro X2 is a very durable rangefinder, it offers a rubber armored metal housing. This is a great feature to ensure that your rangefinder won’t get damaged if you were to drop it or bump it during the course of your round. The Pro X2 is also fully waterproof, this allows players to use their rangefinders in any conditions without having to worry about damaging it. When using a rangefinder, it is important to ensure that you ‘shoot’ the pin, and not a tree or some other object behind the flag. 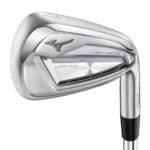 Pinseeker JOLT Technology is a feature that produces a jolt as soon as the rangefinder accurately detects the pin when ‘shooting’ at the pin. 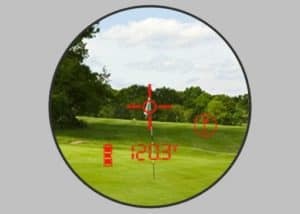 This feature gives the user peace of mind knowing that they have the exact distance to the pin, and that they didn’t accidentally get a wrong distance to a tree 30 yards behind the green. When rangefinders were initially introduced to the market, most rangefinders didn’t compensate for the slope of the terrain. This lead to incorrect reads when shooting targets uphill or downhill. 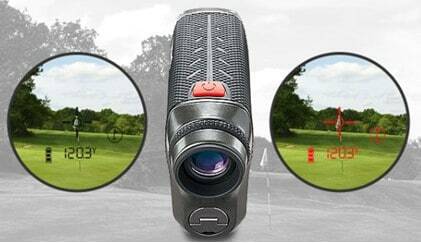 The technology to adjust for this has been commercially available but only recently became cost effective for rangefinders. 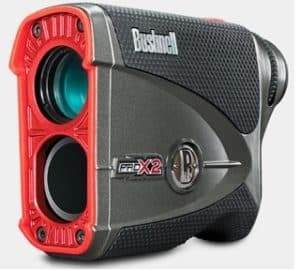 USGA rules prohibited the use of slope rangefinders, so Bushnell introduced a model where an attachment at the front of the rangefinder could be switched out to either have, or not have slope compensation technology. With slope switch technology it only requires the flick of a switch to move between the two modes, which makes it a very quick and user-friendly experience. The Pro X2 is a very user-friendly rangefinder. Its shape allows for a comfortable grip, the rubber casing offers protection against falls and bumps and it is waterproof thus it can be used in any weather conditions. Two different display color options ensure that options are available to provide maximum visibility in different lighting conditions. Slope switch technology is available at the flip of a switch – there is no need to change attachments. This yet again adds to a friendlier user experience. The Bushnell Pro X2 offers tremendous accuracy. It claims a range of 5 – 1300 yards with accuracy ranging to ½ a yard. 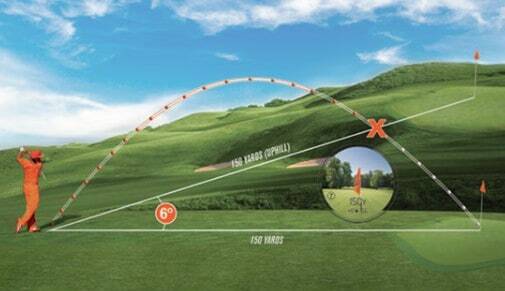 We don’t see the need for much more than 250 yards of range but Bushnell gives it to you anyway. The Pinseeker JOLT feedback lets users know that they have ‘shot’ the pin accurately. This helps you have confidence and commit to your shot. Slope technology is another bonus if you play on hilly courses. The Pro X2 does come with a hefty price tag of $449.99. . Bushnell offers a trade up program, which means that users can trade in older models for newer models. The Pro X2 also comes with a 2 year warranty. The Bushnell Pro X2 rangefinder is another trailblazing rangefinder produced by the leading manufacturer of rangefinders in the industry. It has a sleek design with a rubber armored metal housing, and it is waterproof which ensures ultimate durability. 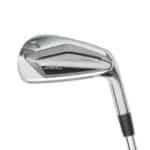 Having the slope switch technology offers great flexibility to players who play competitive golf. 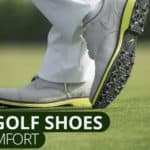 Slope compensation can be used during practice rounds, and then by a simple switch of a button it is legal to use in events where distance measuring devices are allowed. The Pro X2 is accurate, packed with technology, lightweight to carry around in your bag and a product that will last a very long time.